The Staples Center can be yours if the price is right! 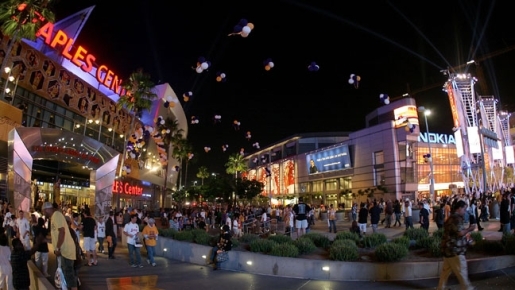 By acquiring most of the Los Angeles sports scene, from a piece of the Los Angeles Lakers and their home the Staples Center to the Los Angeles Galaxy, the Los Angeles Kings, and Farmers Field (the potential site of LA’s NFL hopes and dreams), Philip Anschutz’s Anschutz Entertainment Group has become one of the powerhouse groups in sports and live entertainment. AEG also owns the O2 Arena in London, runs the popular AEG Live concert promotion business, and Goldenvoice, who puts together Coachella every year, so they know what they’re doing. Now, you too can be in the promotion and sports business. AEG is up for sale and expected to fetch billions for parent company Anschutz Group. I’ll say it does. Where else can you buy a vast swath of sporting culture AND the second-largest concert promoter in the world with your well-placed billions? Almost nowhere, that’s where. Whoever picks up AEG (or its component parts) will be getting an interesting portfolio of stuff.